The summit meeting between Kim and Trump ended early. And there was no joint statement, as widely anticipated. Thousands of bewildered journalists who had camped out to capture the spectacle packed up and left, and Kim’s motorcade left quickly, as members of his entourage scrambled to jump into moving cars. The media has been ablaze with speculations about what happened, as pundits weigh in with declarations that the summit was a failure or a success. It was neither. And it was both. Kim was offering a bad deal and the president was right to reject it. First, the good. Kim was offering a bad deal and the president was right to reject it. According to the North Korean foreign minister who held a rare press conference the day after, Pyongyang offered the permanent dismantlement of a portion of nuclear material production facilities at Yongbyon Nuclear Research facility in exchange for a “partial lifting” of sanctions, namely the 2016 and 2017 sanctions on the North’s export industries that also limited petroleum imports. The removal of these sanctions would have amounted to billions of dollars in sanctions relief, revenue that could be funneled back into the proscribed programs that we are trying to stop. 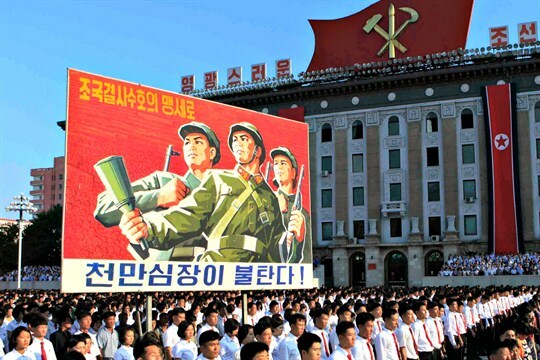 Given the metastasis of North Korea’s nuclear weapons program, the covert facilities, and the range of ballistic missiles, offering Yongbyon for the removal of these most effective sanctions, on its face, was a grossly disproportionate trade. 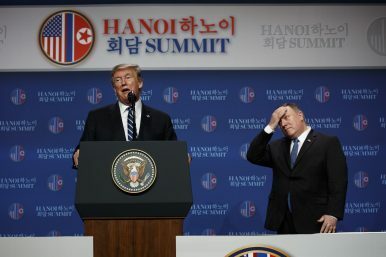 It should come as no surprise that the Hanoi summit between the United States and North Korea ended in failure. The two countries’ incompatible demands made reaching a new agreement—not just on North Korea’s nuclear program but on anything—almost impossible. Washington called on Pyongyang to unilaterally surrender its entire nuclear weapons program before it would make any concessions. Despite intial reports that the United States was ready to move negotiations forward by first seeking a partial freeze on production of fissile material, it instead went after the whole program—everything old and new—in one swing. Pyongyang unsurprisingly refused, demanding that Washington lift almost all sanctions before it would discuss any further “denuclearization steps.” The United States considered that too high a price for anything short of Pyongyang’s total unilateral disarmament, and talks collapsed. The gulf between U.S. and North Korean demands—not to mention a lack of agreement on what terms as central as “denuclearization” or “corresponding measures” actually meant—had been deftly papered over in the months since the historic first summit between U.S. President Donald Trump and North Korean leader Kim Jong Un in Singapore last June. But the bill finally came due in Hanoi. The world was riveted this week by the meeting in Hanoi between U.S. President Donald Trump and North Korea’s Kim Jong Un. Last year’s initial summit between the two leaders in Singapore created nearly giddy hope for an end to the longstanding hostility between the United States and North Korea, particularly the resolution of the thorniest issue of all: North Korea’s nuclear weapons and ballistic missile program. But a true breakthrough in Vietnam was always unlikely for one pressing reason: Americans persistently fail to understand how Kim sees the world, instead treating him as they want him to be, rather than as he really is. So it shouldn’t have come as much of a surprise that talks broke down and both sides abruptly walked away from the two-day summit, issuing contradictory explanations of how disagreements over sanctions relief derailed the negotiations. 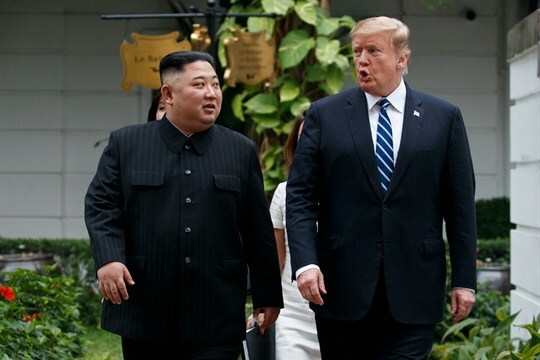 The second summit between U.S. President Donald Trump and North Korean leader Kim Jong Un is scheduled for February 27 and 28 in Vietnam. What can be expected? The first summit, held in Singapore in June 2018, produced some small, quick, and positive gains, notably reducing the heightened tension of the time. The provocative rhetoric between Trump and Kim has since been muted. The United States canceled its usual joint military exercises with South Korea, which were later resumed but on a smaller scale. North Korea closed its Punggye-ri nuclear test site and returned the remains of 55 U.S. soldiers killed in the Korean War. 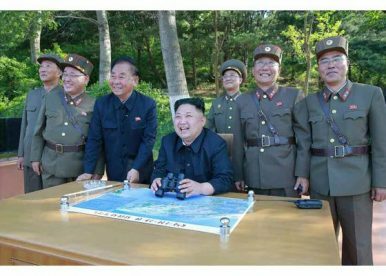 Pyongyang also has kept its promise not to carry out nuclear and missile tests. From those hopeful beginnings, however, the two countries soon reached a stalemate. The fitful discussions between the two sides since June have not resulted in any progress on three key issues: denuclearization, a peace treaty, and the removal of sanctions on North Korea. Meanwhile, there are reports that North Korea has continued producing nuclear weapons. This week, U.S. President Donald Trump and North Korean leader Kim Jong Un walked away from Hanoi empty-handed. Their failure to sign a deal was shocking, given most of the speculation before the summit had focused on what would be in the deal, not on whether one would be signed. The failed summit has undeniably made negotiations more difficult going forward. But the silver lining is that the two sides now have the time to step back and lay the foundations for a sustainable diplomatic track, which is essential given the long road ahead. In the lead-up to the U.S.-North Korea summit meeting in Hanoi this week, I took U.S. President Donald Trump’s advice and kept my expectations low. Contrary to the lead-up to the Singapore Summit, where expectations on denuclearization in particular had been set sky-high, Trump worked in the run-up to Hanoi to lower them, emphasizing that he was in “no rush” for North Korea’s denuclearization—that all he cared about was that no nuclear or ballistic missile tests occur on his watch. At Hanoi, the result came in even below my already low expectations. The two sides were unable to come to any productive agreement. Trump confessed at the press conference following the breakdown that the U.S. had even prepared “papers” for the two sides to sign; the White House had sent around a schedule to reporters prematurely announcing a “signing ceremony” too. All this was changed at the last moment and it increasingly looks like it was because North Korea had to walk out on the United States after it refused to budge on the core issue at the center of the process today—and in the past: sanctions. The second Trump-Kim summit ended suddenly and prematurely, reportedly due to an impasse over what North Korea was willing to trade for sanctions relief, along with other issues related to Pyongyang's weapons program, according to Washington. This, however, does not presage a return to the escalating tests and tensions that preceded the 2018 rapprochement, as progress and negotiations at a lower level are likely to continue. In the wake of this summit breakdown, China and South Korea will move quickly to try to put the U.S.-North Korea relationship back on track and sustain diplomatic dialogue. This piece was originally delivered as a speech at the Chey Institute of Advanced Studies in Seoul, South Korea on February 14, 2019. The goal President Trump will try to advance in Vietnam – the complete denuclearization of North Korea – is a goal genuinely shared by the ROK, China, Japan, Russia, and many other countries. For the ROK, it would remove a major asymmetry with its northern neighbor and a barrier to North-South reconciliation. For China, it would reduce a source of regional instability and perhaps result in a decrease in the presence of U.S. military forces in Northeast Asia. For Russia, it could reduce U.S. incentives to build up homeland missile defenses and boost economic activity in Siberia.